The "American Presidents" series will explore the legacies of select former American Presidents by examining their biographies, before, during, and after their Presidencies. 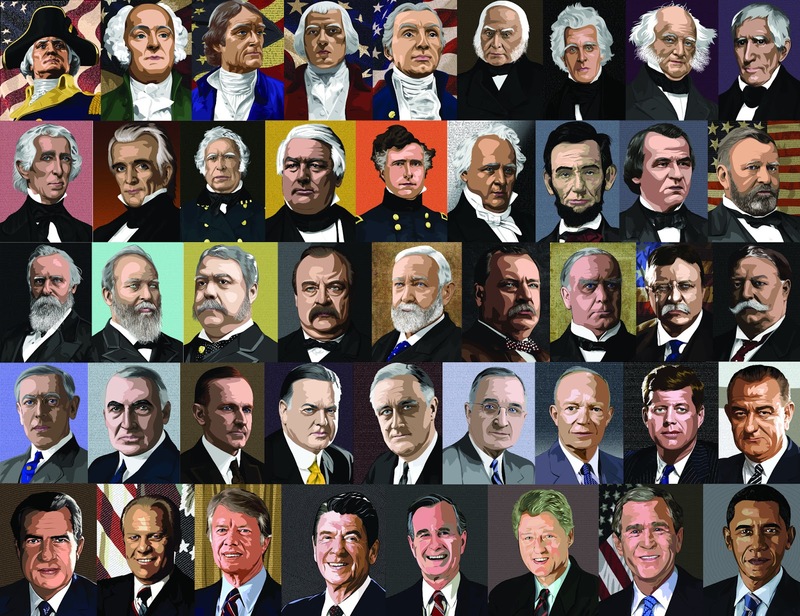 One of the goals of the Presidents series is to critically examine and learn more about the obscure, lesser-known Presidents. To that end, we'll be examining many Presidents from the 19th Century and the early 20th Century. - The historic state of America during this era. - The state of the economy, trade, and technology during this era. - The early personal life and career of this President before the presidency. - Any landmark achievements or reforms, as well as any failures and controversies. - The foreign policy goals and international alliances at the time. - The ever-lasting legacies and influences (if any). - How this President stacks with other former presidents in the overall job approval ratings. - Finally, if they were sitting in the Oval Office in 2018, how effective will they be? No required reading for this meeting. As this new tax overhaul suddenly goes into effect, we'll dissect and analyze this sweeping legislation. - How will this affect your personal lives? - The "winners" and "losers" from the new law. - The merits of the purported legislative aims of the "tax reform." - The potential budgetary, fiscal, and economic impacts. - How this law affects certain provisions of Obamacare. - How this will play out politically in the 2018 Midterm Elections and beyond. IMPORTANT DISCLAIMER: this meeting is strictly intended for informal, social purposes only. 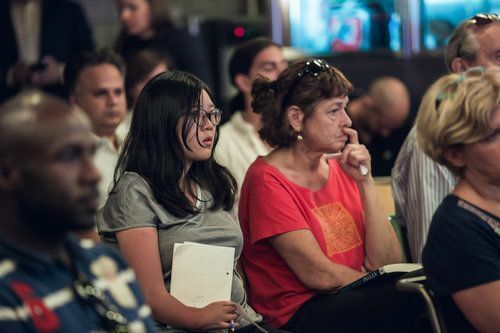 The NYCPF does not give tax advice, and this meeting is NOT intended for exchanging or receiving legal advice regarding any of the topics discussed. Further, a mere attendance of this meeting does NOT create an attorney-client relationship with the event host. We'll kick off the Second Season of Law History and Politics! This month's season debut will be a discussion based on Magna Carta Libertatum (Medieval Latin for "the Great Charter of the Liberties"). Textual meaning of this "Great Charter," as well as the subsequent iterations. Certain protections and guarantees under this Charter. The subsequent laws passed in the ensuing years, including the Habeus Corpus Act and the Bill of Rights. The historical background circa 13th Century. The Legacies of King John, as well as, other Kings that immediately preceded and superseded him. The internal turmoil in the British Isles, including civil wars and unrest, among various factions. England's hostile relations with its neighbors, territorial expansions, and the resulting of various wars. 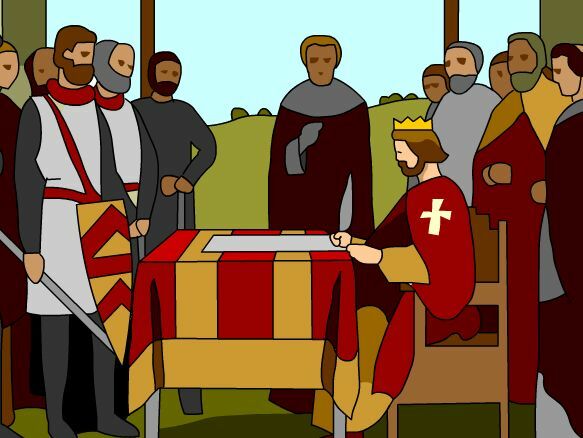 How Magna Carta gave rise to the notion of the "British Exceptionalism." How it was incorporated into the British Constitution. How it had an everlasting influence, including during the Enlightenment Era. How it became universally adopted and symbolized, giving rise to the modern concept of the "universal human rights." This is a final part of a four-part discussion series examining the ostensibly-sudden rise of nationalism in different parts of the world. • "Nationalism" in response to and in opposition of "Globalism" and the current immigration policies. • The overlap between "Nationalism" and "Populism." • The invocation of "American Exceptionalism" as the basis for Nationalism. • Nationalism based on selective interpretation of history. • A "nostalgic" sense of nationalism. 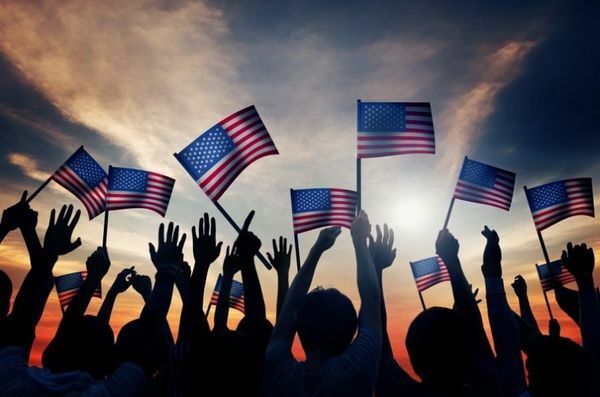 A couple of years ago, we had a lengthy discussion on the notion of "American Exceptionalism" -- we'll continue that dialogue vis-à-vis "Nationalism." FINALLY, we'll conclude the discussion with how we define "American Values" in the current political climate. 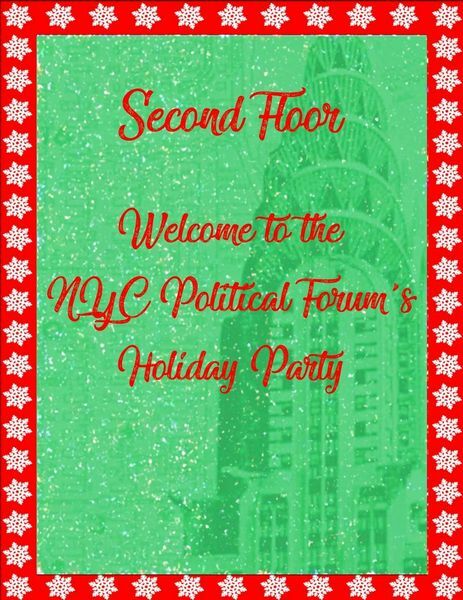 The Fourth Annual Holiday Party! 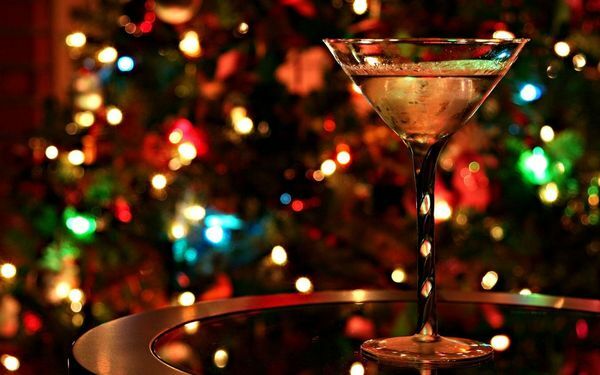 It's been our tradition to have a holiday party for two reasons. First, our Group was founded around this time four years ago. Second, as we embark on the Holiday Season, it's a good moment to look back and reflect on the year. * 2017: Year in Review -- what were the most important, or perhaps the most under-reported stories / events? ** BUT, most importantly -- what did the Year 2017 mean to you personally? *** PLUS, predictions for 2018. **** FINALLY, there will be important group announcements, including three new discussion series launching in 2018! Read more about The Fourth Annual Holiday Party! Motion Debate: "Universal Basic Income"
This is an invitation to attend and watch a live Motion Debate as an audience. This event is in collaboration with MotionDebate.com, as part of the monthly debate series. It's FREE to attend and complimentary beverages will be offered. To attend, please complete the RSVP on this meetup page and also register at the external splashpage by clicking here. Brian Hanley and Conrad Shaw will team up against Erik Carter and Christina Zorbas. It will be moderated by Evan Rhoda. This month's Motion: "Universal basic income is the most important solution to rising joblessness in America." • "Higher education in America is worth the cost of tuition." (Sept. 28th). 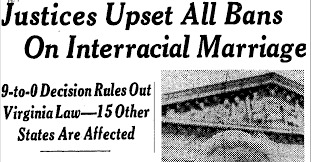 Read more about Motion Debate: "Universal Basic Income"
This 1967 unanimous ruling struck down state laws that banned interracial marriage (i.e, the "anti-miscegenation" laws). This year marks the 50th anniversary of the Loving decision. The Trump Presidency -- One Year Later . . .
On November 9, 2016, Donald J. Trump became the 45th President of the U.S. While some cheered this surprise victory, others expressed dismay and despondence -- the latter of which still resonate today. As we embark on this one-year mark, we'll take a look back at how the Trump Presidency affected our daily, personal lives, if any at all. Here, we can offer anecdotal examples on a personal and introspective level. This is a unique event because it will be the first time that we devote the entire event discussing the Trump Presidency. Read more about The Trump Presidency -- One Year Later . . . This month's Motion: "Artificial intelligence poses a serious threat to the future of human existence." Alex Grass and Iain Coston teamed up against Brian Hanley and Joel Dela Cruz in debating for and against the Motion, respectively. It will be moderated by Evan Rhoda. 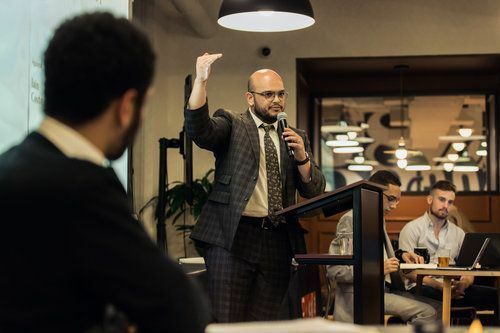 Read more about Motion Debate: "Artificial Intelligence"
We'll resume our "regular" monthly roundtable discussion, covering the most compelling stories and events unfolding in our City, the State, the Nation, and around the World. As always, there's plenty to discuss! 1) The City: a preview of the upcoming local elections. 2) The State: a preview of the State's November 7th Constitutional Convention Referendum (#NYConCon). • Trump v. International Refugee Assistance Project.